Sometimes, you can’t help it. You need to look at what happened in the past to understand what is happening in the present (wow). If you know the specific line you are interested in, showing history for selection is the way to go. 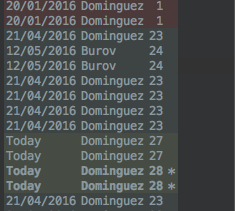 However, if you want to look at how the file has changed over time, showing annotations (the nice way of saying git blame) might help you. To enable it, right click the gutter then choose Annotations. From here, you have a ton of options on how you want to display the summary in the Annotations gutter. It’s always fun to see which line has been there since the beginning of time. 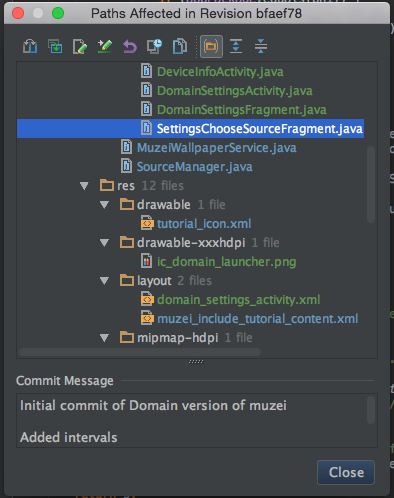 ** Source code is Roman Nurik’s Muzei that we forked for an Innovation Day project last year. 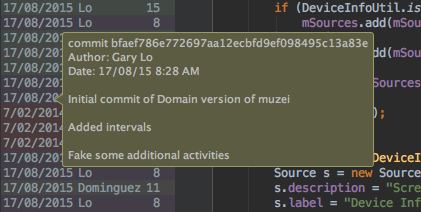 Hovering over an annotation will show the full commit information, including the commit message. And clicking on it will open a list of the paths affected by this particular revision. Look at all those options at the top of the dialog! Have a play and enjoy diff-ing!